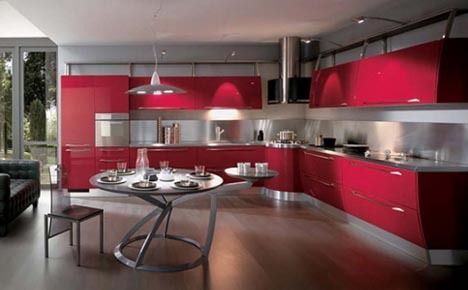 Before you break out the paintbrush for a kitchen remodeling project, consider how far a single color can go. While not monochromatic in the strictest sense, each of these interiors features one bold and dominant tone to strong effect. 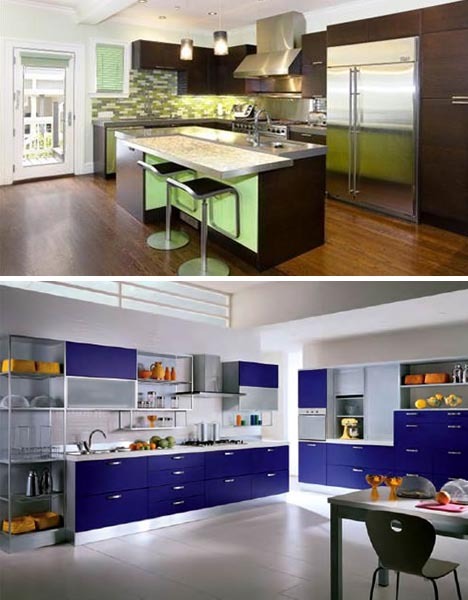 These seven examples from Scavolini make for great compare-and-contrast photos between a spectrum-sampling set of spaces. 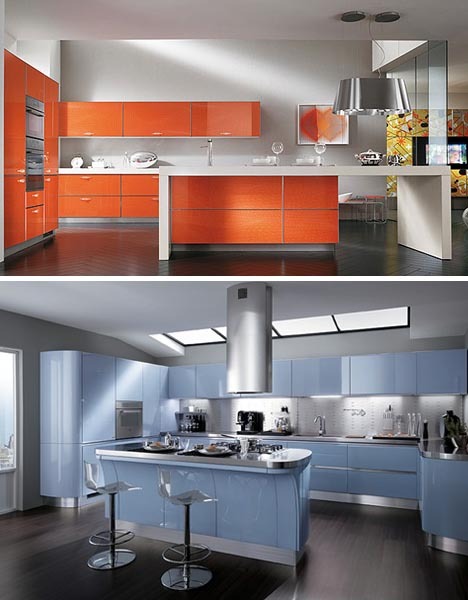 Cool and warm colors, for instance, clearly make worlds of difference – an orange-highlighted area feels festive and inviting, while a pale-blue feels industrial and cold by comparison. 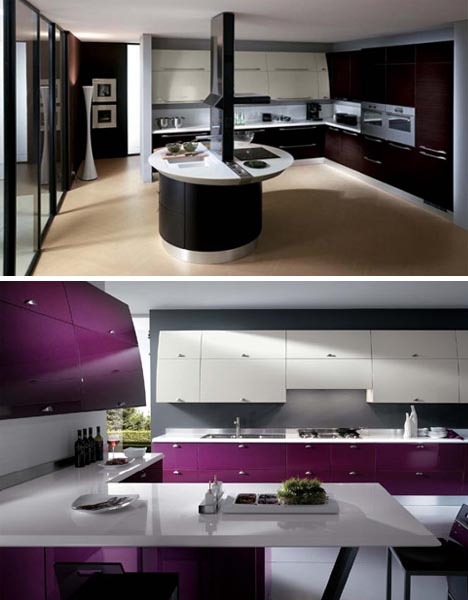 A deep brown can let cabinets and islands fade to the background, while a bright purple brings them back up front and center in a design scheme. Naturally, no room will be devoid of other colors, so it is worth considering what will populate a space aside from built-ins – wall tiles, decorative accents and other features will ultimately inform the look and feel of a finished kitchen too.